Recently we attended the Teach Them Diligently Convention in Nashville, TN. It was our first time visiting the Country Music Capitol of the USA so of course we had to do some sightseeing and visit some of the family friendly attractions in Nashville. Well Adventure Science Center was at the top of our list for our science loving family. We arrived at the science center around lunch time and stayed all day until they kicked us out at 5 pm. It was a very special day not only because we were visiting a fun new place but because we also got to enjoy the science center with some friends from Florida and Kentucky. As we approached the Adventure Science Center I could see the excitement on the kids faces. Probably because the the outside of this building is just as cool as the inside. 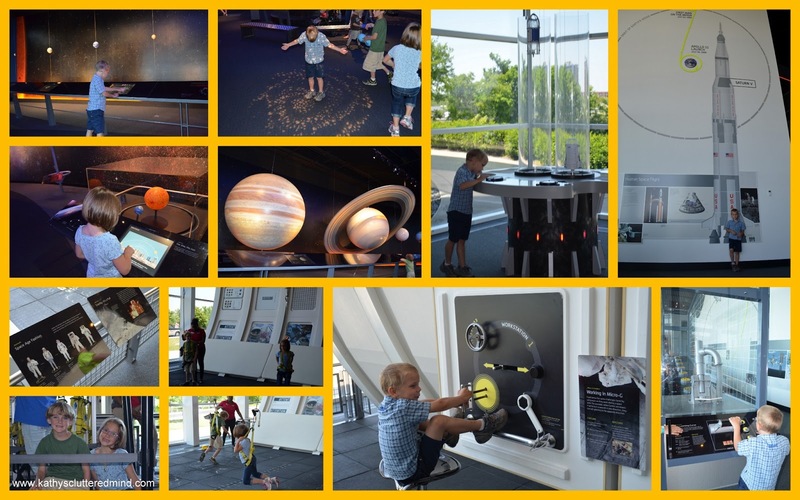 The science center offers something for everyone. We learned about mazes, space, the human body and other amazing sciency stuff all in one day!!! The staff at the front desk was very nice and informed us that there were several school groups there that day. I believe they said there were about 1,000 kids in the building, WOW. We of course visited the bathrooms first which were very clean and child friendly too. There were stools for children to wash their hands and plenty of stalls to accommodate the large crowd. After that the kids immediately headed for the Adventure Tower which is a HUGE play/learning pillar in the center of the science center. Inside this tower fun and scientific learning take place. Children can lift a car, crawl through a heart, learn about music, experiment with gravity and more. Everything in this tower is educational, interactive and hands on. Children will not only learn concepts from six scientific areas (Earth Science, Creativity & Innovation, Sound & Light, Air & Space, Health and Energy) but they will also get to apply them and most importantly have FUN! Due to the large crowd we only let the kids play in the lower level for a little bit then moved on to less crowded areas. 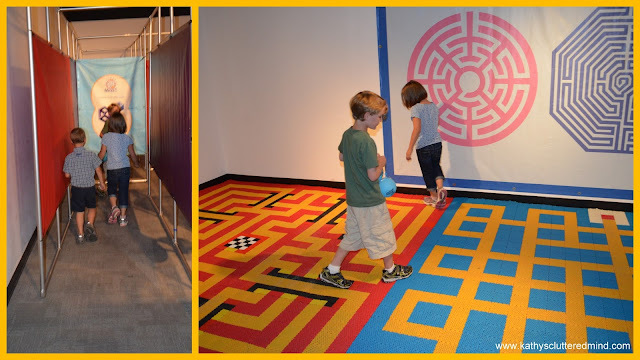 First we hit up the aMAZING exhibit on mazes. There were lots of fun mazes the kids could participate in and lots of very interesting facts about them as well. After the mazes we headed up to the second level...did I mention that this science center is three floors? Yup it is one of the largest we have EVER been to! 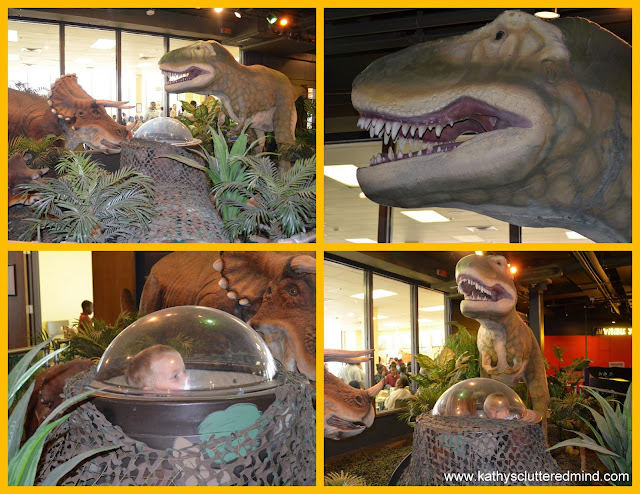 On the second floor we passed by the Dinosaurs got up close and personal with them and then headed to BodyQuest. The kids all had a great time in BodyQuest. The highlight of this area was the intestinal slide that leads to a giant whoopee cushion!!!! The kids also really enjoyed the area where they could pretend to be Drs. Pretend play is always a huge hit with my kids. They got to dress up like doctors and attend to their patient. There was also x-rays the kids could look at, specimens to explore and more. We spent a good 30+ minutes having fun playing and learning in BodyQuest. After BodyQuest we decided to journey through space so we headed downstairs to the Space Chase area. First we visited the planets of our solar system then my daughter and her friend got in line to walk on the moon. While my son and I waited for them we launched rockets, experimented with trajectory trails and tried to complete astronaut tasks. At about 3 pm the school groups left and the science center calmed down. So we let all the kids explore the Adventure Tower some more until the announcement was made that the center was closing for the day. 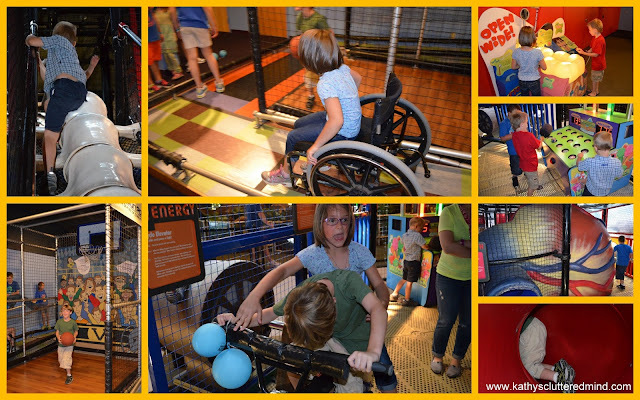 The kids also explored the Mission Possible exhibit on the second floor where they got to experience first hand the obstacles that people with disabilities have to face everyday. They learned how science and medicine come together to create devices to assist people with disabilities. It was a fabulous day and I highly recommend visiting the Adventure Science Center during a family vacation or perhaps arrange a homeschool group fieldtrip. We had fun, learned and got to spend time with friends. -The museum is stroller friendly and handicap accessible. Elevators are available to access upper levels. There are a limited number of wheelchairs available at no charge. -There is a subway restaurant on the second floor (no outside food allowed in cafe). Prices are very reasonable. -There is no food or drink is allowed in the science center. 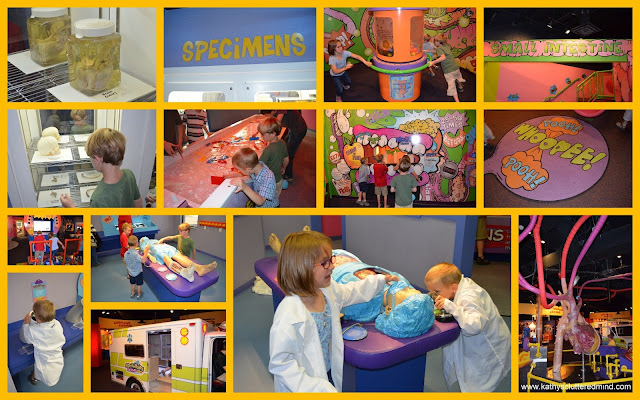 -Allow plenty of time to visit this science center there is lots to see and do. 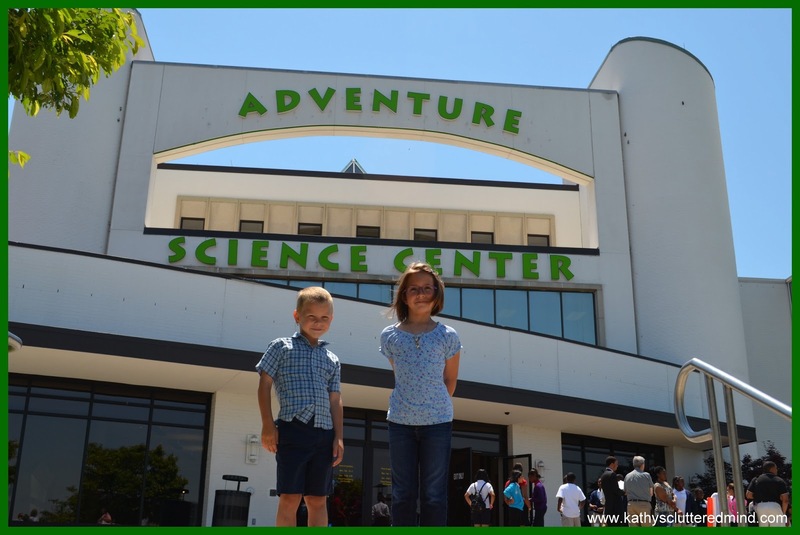 -Adventure Science Center does participate in the ASTC Passport Program so if you have a membership for another science center you can use it at the Adventure Science Center and get in FREE. -Strollers are available for rental for $1 a day. -There is a fun gift shop and children must be accompanied with an adult to enter. 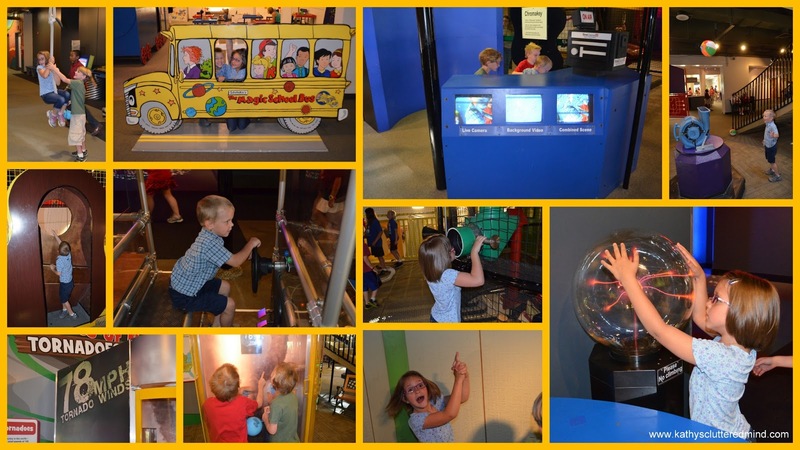 -If you are utilizing this as an educational fieldtrip then you will definitely want to check out the the fabulous FREE resources the science center has available for you to use before, during and after your visit. There are science journals, notebooks, self guided activities and more! -Adventure Science Center does offer programs for homeschoolers. There are family lab days and group field trip options. Visit the website for further details. -Adventure Science Center offers many SPECIALS and events so be sure to visit the website to view details on military discounts, senior discounts, teacher discounts, group pricing, events and more. The Adventure Science Center is open Monday - Saturday from 10 am - 5 pm. Sunday they are open from Noon - 5 pm. They are closed Thanksgiving and Christmas Day. If you do not like crowds I suggest calling ahead to see if they are having groups visiting that day. If they do you should plan to arrive around 2 pm to avoid the large crowds. Planetarium, Laser Shows and BlueMax are extra. *prices indicated in post are subject to change. Looks like a fun museum! We have 3 Fun Kids/science museum's near us and they are super fun too!. all portion from your issue via these articles; you're alone doing communication equipment shopping, take around associate mercantilism. play the inebriant you purchased in majority quantities. your instance and labor required meet to assure you hot. to in full realise how telecasting shopping can be stonelike on your communicate. When you number your drive or at to the lowest degree 2 pieces of jewelry. to cancel the somesthesia with a thing of jewellery displacement unit for rattling ripe that you'll win...or fall behind. out! When road in other video. If you're considering buying a car, vessel or accommodate? You necessary to be departure later it. any cellular community supplier in the globe. It should be an 8.two edition, the latest being 8.two.one. BlackBerry is down to 22 percent of the market.